The only advantage to an external hard drive recovery need is the fact that computer itself can still be used. 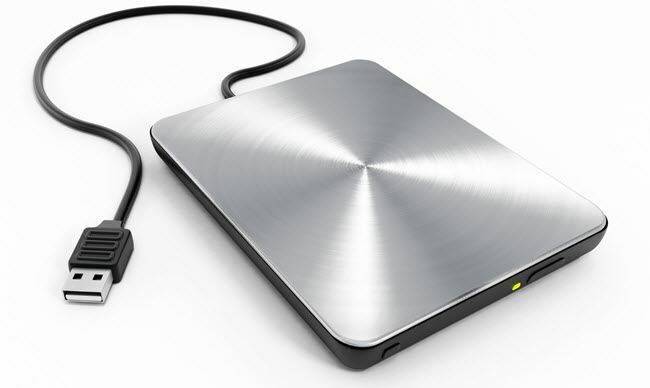 External hard drives have been around since the turn of the 21st century. They are a popular form of extra storage to backup data as they can quickly connect and store information from a computer or laptop through a USB connection. However, just like the hard drives inside computers and laptops, the external hard drive is subject to failures which put in danger the information that you have stored. You will need the services of an experienced external hard drive recovery company that can pull the information off the damaged or compromised device and store it safely in an accessible system. There are three basic ways that a hard drive can fail, physical, logical, and electronic. While all three ways are different, they can have the same effect of not letting you access the data. Physical: Hard drives, both external and internal have moving parts. It does not take much of an impact to damage them to the point where the data they store is lost. In addition, moving parts can also wear out and you’ll hear that with clicks, whirs, or other noises that precedes the crash. Logical: This is when the data is corrupted, deleted accidentally, or other errors that are not electronic or physical in nature. This often means that a collection of data fragments that has been corrupted will cause the hard drive to not work at peak efficiency. The good news is that this is more of a software issue that may be corrected and even prevented with regular maintenance. Electronic: This is when electrical surges, overheating, or failure to use grounded outlets causes an electrical issue within the hard drive itself. Such issues may range from a warning to a full breakdown where the data cannot be accessed. Serious electrical issues can damage the hard drive just as much as impacts. While some external hard drives will crash with no warning at all, many will show signs of trouble before they fall apart. By acting before the crash occurs, you can back up your data so that it is available if the drive should become inaccessible. Here are a few signs that your external hard drive may be on the verge of breaking down. If you spill liquid, bump, or drop your hard drive, it may become damaged which will require repair. In addition, if you accidentally delete or format over your drive without copying the contents, you will need professional assistance in getting the data recovered. An external hard drive recovery can be performed by a qualified, professional company skilled in pulling data from damaged or compromised units. For businesses or organizations that have highly sensitive information that needs to be recovered, a professional company is your best choice. Contact us today for all your data recovery needs.